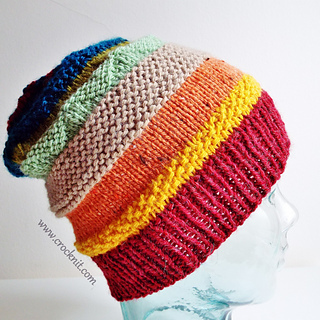 Colour your world with this CRAZY STRIPE slouchy hat. Substitute Yarn: Check the YARNSUB website, to get the best match. 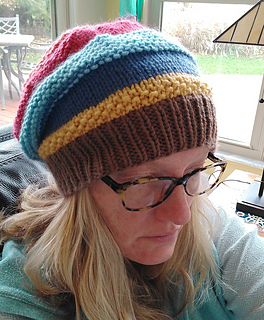 PATTERN NOTES: Hat is worked bottom up in the round. 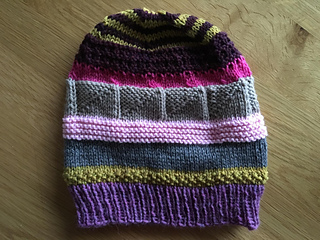 Instructions in this pattern are for one (1) hat using seven (7) colours. 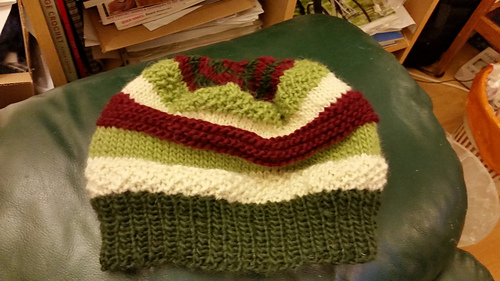 This pattern includes basic knit stitches. You need to know how to knit, purl, slip stitch, pass slip stitch over.